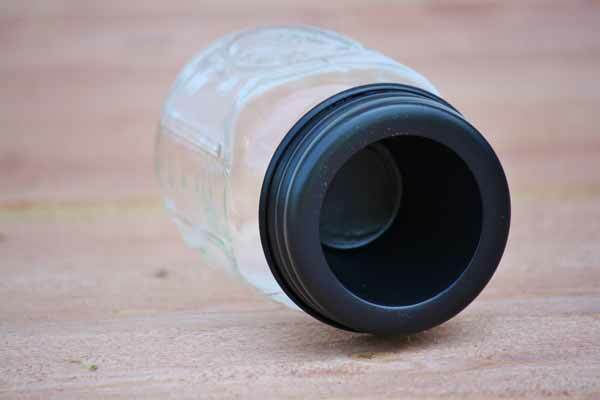 A useful mason jar holder for storage and access. The lid features a small cavity for holding a small supply of cotton swabs, crayons, and more. Keep the larger supply safely stored below. Add old-fashioned mason jar decor to your home today! Fits regular mouth jars. Black color.